Underwater at Secret Beach. A sea fan in the center. 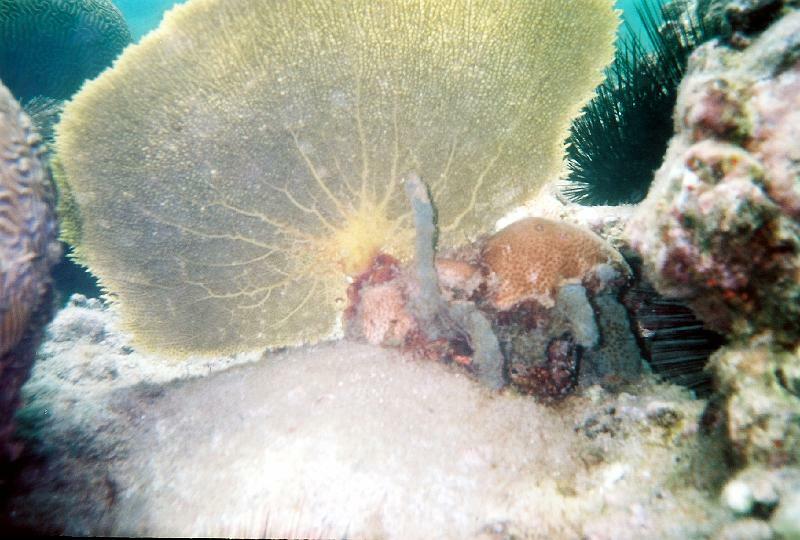 Top left, Platygyra (green brain coral); center left, Platygyra (orange brain coral); Diadema Setosum (black Sea Urchins) are just to the right of the sea fan; Axinella(blue finger sponge) in the center; also in the center is orange and brown Favia.